The Bitcoin Aussie System portrays itself as a risk-free system that can allegedly enable you to earn thousands of dollars per day all on complete auto-pilot from online cryptocurrency trades that will be made on your behalf. You’re literally led to believe that you can just simply sign up & start making money without even having to lift a finger, but is it actually legit or will the Bitcoin Aussie System scam you instead & just see you spending money rather than making it? What Exactly Is The Bitcoin Aussie System? The Bitcoin Aussie System claims to be an automated trading system that can allegedly enable you to generate risk-free profits from Bitcoin & you’re led to believe that you can still make money with it even if you’re a total newbie to the cryptocurrency scene. The whole thing has supposedly been put together by a guy who used to work at a large bank. He claims his position at the bank enabled him to get insight into the mathematical processes that they used to manage large investments. So from there you’re told he quit his job, began amassing a fortune, and that now he wants to share his discovery with the world – hence the release of the Bitcoin Aussie System. He states he’s built the BAS (Bitcoin Aussie System) around the so-called “proven mathematical formula” & that he’s built the system to enable the average-Joe’s of the world to profit with ease. 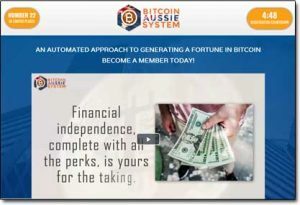 The idea is that you can now simply “plug in” to his Bitcoin Aussie System, deposit some money to get started & then amass a fortune just like the guy behind it at all… But don’t rush into signing up! The reason I say don’t rush into signing up is because whilst the whole thing might sound like a dream come true, sadly in reality it’s actually nothing but a bogus get-rich-quick scam that’s been designed to part you wish your cash, not help you make it. And the reason I can say that so confidently right from the off is because I’ve actually seen this scam many times before launched under several different names such as the Bitcoin Investor, One Bitcoin a Day & The Bitcoin Code. How Does The Bitcoin Aussie System Work? 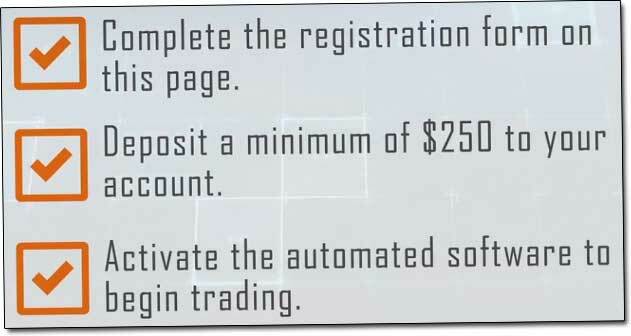 You’re told that all you need to do is join for free, make a small deposit with the broker that they recommend (at least $250) and then hit the “START” button on the system to have it begin trading for you. From there you’re led to believe that you’ll begin generating a passive income as easy as that… You’re told that the system will make profitable trades on your behalf & that you can just sit back whilst you watch the money come rolling in. Sadly though in reality it doesn’t really work like that, and there’s one very important thing the creators don’t tell you – which is the fact that they’re actually affiliated with the broker they “recommend” to you. This means that when you sign up via the broker & deposit your money, the people behind the Bitcoin Aussie System (who remain anonymous) get paid a huge commission at your expense. And the other thing that they don’t tell you is that the so-called “recommended” broker is an unlicensed scam broker. So basically any money you deposit with the broker is gone for good, because even if you don’t trade with it & still have some left in your account the people at the broker company will not let you get it back. Now you can probably see why it’s not so risk-free after all. And this is where you realize you’ve been scammed out of at least $250… Which is a pretty sizeable amount. What’s even worse is that the people behind the whole thing will often immediately call you up as soon as you enter your phone number to try & get you to deposit every single penny you can afford. As a result I’ve heard of people losing their entire life savings to these binary options scams. Honestly the best thing you can do is just flat-out avoid these things. 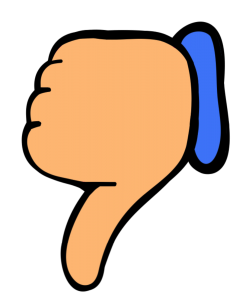 My Verdict – Is The Bitcoin Aussie System a Scam? The answer to that is 100% yes, the Bitcoin Aussie System in my opinion is 100% a scam because rather than being set out to help you make money like it claims, it’s just set out to part you with your cash instead. Nothing that you’re told on the website holds true & the whole thing has just been built upon lies & deceit to trick you into signing up. If you do sign up you’ll then simply be referred through a scam binary options broker who’ll try and get as much cash from you as possible… And you’ll finally be left to find out that the whole Bitcoin Aussie System doesn’t really work as promised. So overall it’s safe to say that I won’t be recommending the system to you as I know for a fact that if you join it you’ll just end up losing money & feeling disappointed. The good news though is that if you are still interested in making money then there are indeed legitimate places where you can learn how to do exactly that such as Wealthy Affiliate, which is one of my top-rated programs. Obviously it ain’t gonna happen on autopilot but if you join there, follow the steps & put in the work then you can definitely get yourself on your way to building a proper income online – and it actually teaches you exact same method that I personally use to generate most of my own income online. Air Force To Wealth By Coach Josh Review – Scam or REAL Secrets of The Wealthy? Duplicate Dave Review – Can You Really Make Money By Duplicating Dave’s Online Business? 7 Figure Profit Code Scam? Read This Review First!